Lloyd Hara has a distinguished 40-year public service career. He is an advocate for taxpayers and for open, transparent, and accountable government. Since being elected Assessor in 2009 and under his leadership, the King County Department of Assessments has won eight international and national awards for technological innovation and public engagement. Lloyd previously served as an elected Seattle Port Commissioner. He was also elected to four terms as Seattle City Treasurer and named the Nation’s best Treasurer in City and State Magazine (now Governing). Additionally, he was King County’s youngest County Auditor. Lloyd served as FEMA Regional Director; Chief of Budget Design and Development (WA State); Clerk of WA State House Ways and Means Committee; Adjunct Professor, Seattle University; and he headed the Municipal Institutes for Clerks and Treasurers. Lloyd retired after 22 years in the United States Army Reserve as a Lt. Colonel. 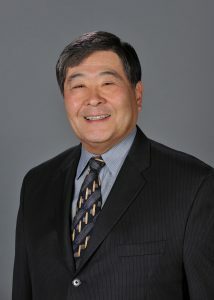 He and his wife own a print broker business, and he is engaged with numerous Boards and community based organizations. Lloyd is a graduate of the University of Washington with a B.A. in Economics and a Master’s degree in Public Administration. Here is your chance to prepare for your new 2015 Property Values and better understand how they are determined! King County Assessor Lloyd Hara and his staff will showcase LocalScape – a new dynamic property data portal designed to unleash the power of community data and redefine civic engagement. LocalScape leverages the power of spatial technology to integrate Assessor property data with a range of critical data streams and illustrate a rich landscape of information, including neighborhood values, sales, permit, Census, and education data. The useful award-winning application has received positive feedback, and Assessor Hara welcomes your input as his team forges new partnerships and looks to make future enhancements. The Assessor will also address the valuation process, how property taxes are determined, and property exemptions. The 2015 valuation postcards will be mailed to property owners in July through October and offer two new features, including pre-registration to receive future valuation notices electronically via email.